SALT LAKE CITY, UT, July 3, 2018 — Marquis Who’s Who, the world’s premier publisher of biographical profiles, is proud to present Ross C. “Rocky” Anderson with the Albert Nelson Marquis Lifetime Achievement Award. 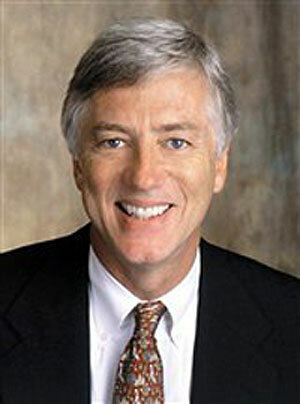 An accomplished listee, Rocky Anderson celebrates many years’ experience in his professional network, and has been noted for achievements, leadership qualities, and the credentials and successes he has accrued in law, politics, and public affairs. As in all Marquis Who’s Who biographical volumes, individuals profiled are selected on the basis of current reference value. Factors such as position, noteworthy accomplishments, visibility, and prominence in a field are all taken into account during the selection process. For 30 years, Mr. Anderson has excelled in the field of law, specializing in civil litigation, civil rights work, professional malpractice cases, and commercial litigation. At the start of his career, he joined Berman & Giauque as an associate. Subsequently, Mr. Anderson gained valuable expertise with Berman & Anderson, Hansen & Anderson, and Anderson & Karrenberg. From 2000 until 2008, Mr. Anderson stepped away from the practice of law to serve as mayor of Salt Lake City. Afterwards, he founded and served as executive director of High Road for Human Rights, taught at the University of Utah, then co-founded the Justice Party in preparation for the 2012 elections and ran as the presidential candidate on the party’s ticket. Now that he has returned to practicing law, Mr. Anderson serves in his private practice, the Law Offices of Rocky Anderson. An expert in his field, Mr. Anderson holds a Bachelor of Science in philosophy from the University of Utah and a Doctor of Jurisprudence from the George Washington University. Utilizing the knowledge he has gained over many years, he has authored and co-authored a number of articles, including “Achieving Climate Protection: Fostering an Essential Focus on Human Rights and Human Impacts,” which was featured in the Notre Dame Journal of Law, Ethics and Public Policy and “A Call for Compassion,” which was published in Dialogue: A Journal of Mormon Thought. Due to his outstanding work in the field, Mr. Anderson has been honored with the Human Rights Advocacy Award through the Universalist Unitarian United Nations Office, the EPA Climate Protection Award and the League of United Latin American Citizens Profile in Courage Award. Additionally, Mr. Anderson has earned an AV Preeminent rating through Martindale-Hubbell and recognition as one of the Top 20 Climate Protection Activists in the World from Business Week. Publications such as Who’s Who in America, Who’s Who in American Law and Who’s Who in American Politics have also featured him for his excellence in the field. Looking toward the future, Mr. Anderson intends to pursue greater justice through his legal and political pursuits. In recognition of outstanding contributions to his profession and the Marquis Who’s Who community, Ross C. “Rocky” Anderson has been featured on the Albert Nelson Marquis Lifetime Achievement website. Please visit the Lifetime Achievement website for more information about this honor.